Seldom has there ever been a promotion in combat sports as up and down as Metamoris has been in such a short life span. Undoubtedly intriguing when it started, the first Metamoris events featured some of the sport’s biggest names; Caio Terra, Kron Gracie and Roger Gracie to name but a few. Ralek Gracie, the founder of Metamoris also managed to add some big names from the world of MMA in Brendan Schaub and Shinya Aoki. The promotion caught the interest of the grappling faithful, but anything more seemed unlikely. Then, out of almost nowhere, Metamoris skyrocketed forward in development at an exponential rate. M3 drew immense interest with it being headlined by a rematch of one of the most infamous matches in ADCC history as Eddie Bravo took on Royler Gracie. The rematch lived up to its billing and ensured the eyes drawn toward big time Jiu Jitsu would remain for the next event.A star-studded lineup featuring Chael Sonnen and Josh Barnett lit up M4, and it appeared the promotion was going from strength to strength. In fact, I wrote an article in the lead up to Metamoris 6 waxing lyrical about this very fact. But here’s where the story starts to sour somewhat – that article was written well over two years ago. Financial problems have been plaguing Metamoris ever since, and forced them into inactivity from May 2015 until now. During that time, Polaris have gone from strength to strength, whilst Eddie Bravo’s own series, the Eddie Bravo Invitational has arguably grown into the largest BJJ promotion in the world. This is not a bad thing for Ralek and his promotion, the more the public clamour for Jiu Jitsu the more potential PPV buys Metamoris are looking at, but naturally they must get their house in order first. Up and coming black belt AJ Agazarm alleged that he wasn’t paid for his match with Karo Parisyan. Whilst UFC and Strikeforce veteran Renato ‘Babalu’ Sobral also claims he is yet to be paid for his match against Chael Sonnen. Ralek, to his eternal credit has owned his problems in public. He mentioned on the Inside BJJ podcast that he would return to MMA competition to pay off his debts, and although he is yet to build on his 3-0 record, he will be headlining this Sundays iteration of Metamoris. Gracie takes on one of the biggest names in the world of Jiu Jitsu, in Garry Tonon in the main event of M7. It was supposed to be main evented by a rematch of the first ever Metamoris main event between Roger Gracie and ‘Bucheca’ Marcus Almeida. The two are some of the premier big men in the history of the sport, and fought to a time limit draw back at M1. However a ‘Bucheca’ injury put paid to that. Tonon though, a black belt under Ricardo Almeida and Tom DeBlass, will undoubtedly be favoured in the main event. The 25 year old has risen the ranks of competitive grappling and is considered one of the leading Jiu Jitsu practitioners in the world today. A pedigree he has shown in Metamoris on two previous occasions, submitting both Kit Dale and Zak Maxwell. Tonon also played out a thrilling draw at Polaris 3 with UFC veteran and bad boy of MMA Rousimar Palhares, wherein his daring performance gained him the full Jack Slack treatment. That being said, Ralek is no picnic. He has a 3-0 record in MMA, all three of the fights occurring in Japan with the most recent being a decision win over an admittedly shot to pieces Kazushi Sakuraba back in 2010. Despite his lack of competition lately, Ralek is a highly skilled black belt with a serious pedigree of his own. Ralek is has direct lineage with the most iconic members of the Gracie family including his father Rorion, his uncle Rickson and the man who gave him his black belt, his legendary grandfather Helio. 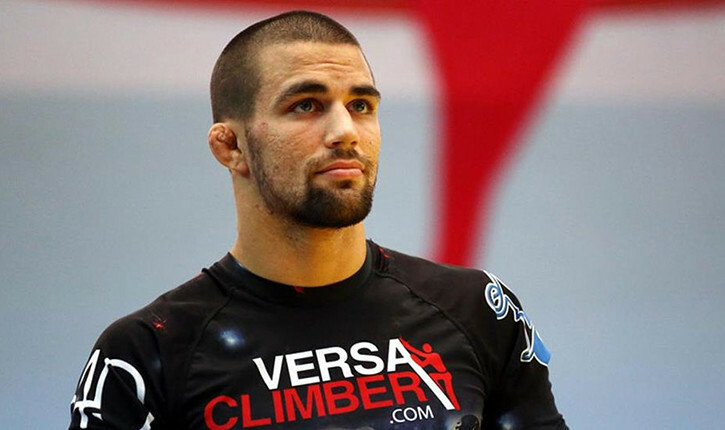 Elsewhere, one of grappling’s brightest characters, Jeff Glover returns to the Metamoris stage. The master of the ‘Donkey Guard’ Glover’s offbeat and quirky style has gained him many fans, but he is far from just comic relief. Glover will provide a stern test and an interesting matchup for one of the best lighter-weight grapplers in the sport’s history; Alliance Jiu Jitsu’s Bruno ‘Bad Boy’ Malfacine. Olympic gold medal winning Judoka Satoshi Ishii, fresh from being robbed in a decision against ‘Rampage Jackson’, faces the experienced former UFC 205lb contender Vladimir Matyushenko. Neither man has a traditional Jiu Jitsu background, and sees Olympic calibre Judo face off against Matyushenko’s hardened Soviet style freestyle wrestling experience. Experienced black belt Fabio Leopoldo, who enjoyed a semi-successful run in the IFL back in 2007 takes on Ultimate Fighter 3 winner Kendall Grove. The Hawaiian is enjoying somewhat of a MMA renaissance in Bellator, and is a high level black belt himself. Kevin Casey, who was submitted by Keenan Cornelius back at Metamoris 3 returns against 10th Planet proponent Richie ‘Boogeyman’ Martinez, one of Eddie Bravo’s most prominent black belts in active competition. Rounding off the card is Bellator veteran Stephen Martinez, who competed at EBI 5 facing off against Kron Gracie black belt, Morgan Neidlinger. Metamoris certainly has its issues, and their financial troubles are unfortunate, but there is no denying that a healthy Metamoris is good for Brazilian Jiu Jitsu, and good for combat sport in general. M7 will be broadcast live on Metamoris’ website, and you can purchase the event for just $25 here. Grappling as a Spectator Sport – Can Quintet Do the Impossible?